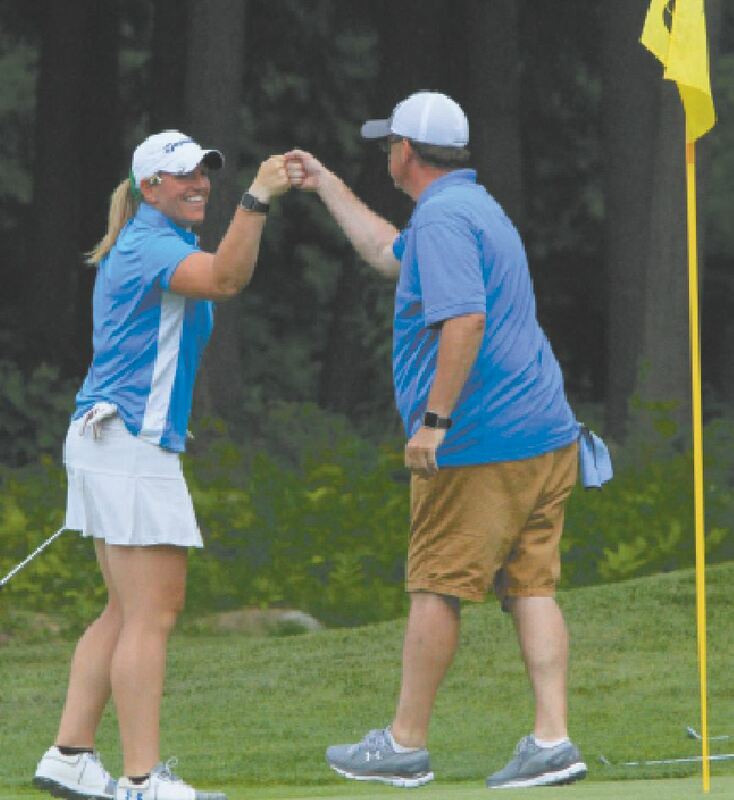 Staff photo by Jason Orfao Derryfield Country Club member and Manchester resident Tara Watt celebrates with her caddie after sinking a putt at the 18th to end her final round of the N.H. Women’s Amateur golf championship at Eastman Golf Links in Grantham. 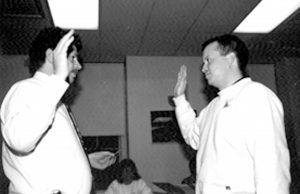 GRANTHAM – There was never a doubt. Chelsea Sedlar fired a 2-over-par 71 to run away with her second straight New Hampshire Women’s Amateur golf championship on Wednesday at Eastman Golf Links. The 19-year-old Merrimack native cleared the field by 11 strokes and became the first golfer to earn back-to-back Women’s State Am crowns since Abenaqui CC’s Dana Harrity, who accomplished the feat in 1997-98 and coincidentally settled for runner-up honors to Sedlar for the second straight year. Sedlar is the first Nashua Country Club member to win consecutive titles since Joanne Avard claimed three straight championships from 1971-73. The wire-to-wire triumph on the NHWGA stage was an important accomplishment for the rising junior who plays Division I golf at Sacred Heart University. “Playing in this event means a lot just because this is where I’m from and this is where I started golfing. Without the New Hampshire Women’s (Golf Association), I don’t think my game would be where it is,” Sedlar said. “Everyone here is so supportive of me and everything that I’m doing. To join that select group of people, it’s definitely an honor, especially playing with Dana today and the final day last year. Tara Watt (Derryfield CC) placed third at 25-over , while Beth Hamilton (Canterbury Woods CC) – who was the closest to Sedlar at four strokes back entering Wednesday – was fourth at 29-over. Lebanon’s Colette Schmidt rounded out the top five at 30-over, edging Souhegan golf coach Lisanne Schmidt (Candia Woods) at 31-over in sixth. In the end, it was Sedlar and everybody else. When Harrity was asked if she felt she had a chance of catching Sedlar coming into the final round, the 16-time champion’s answer was simple: “No,” she said with a laugh. And Sedlar saved her best for last. After opening rounds of 76 and 75, she was 2-under through 10 holes on Wednesday, building a 10-stroke advantage by the turn.